Make this more challenging stained glass project for Christmas or any time of the year. 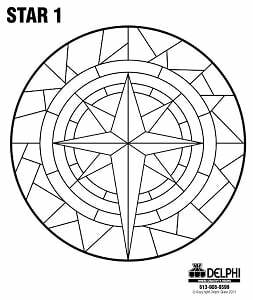 This free pattern was created by Delphi's own glass artists. Follow the link below to download and print this pattern from your computer screen.